Wendy Williams got in hot water for comments she made last week that downplayed the importance of HBCUs. During her hot topics segment, she veered off on a bit of an odd tangent while talking about Jesse Williams' speech at the BET Awards. "I would be really offended if there was a school that was known as a historically white college. We have historically Black colleges," she said. She went on to question the necessity of racial justice organizations like the NAACP. "What if there was a National Organization for White People Only." The next day Williams went on Air and described the controversy as a "misinterpretation" of her words. Many people were outraged about Wendy's faux pas. 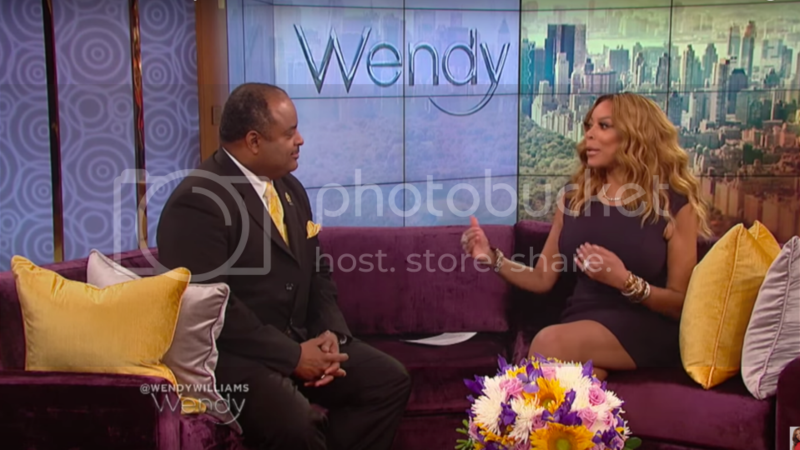 Political commentator Roland Martin took her to task on his morning show on TV One. "If you actually bothered to read a book, you might know these things," he said. Martin's words got to Williams. The two had a telephone conversation, and she invited him on her show to discuss the disagreement. Williams ate crow immediately. "I want to apologize to everyone that I might have offended regarding my remarks...I was wrong." Martin went on to give a brief history lesson of both HBCUs and state violence.